With the season about to start officially, Old Palm Golf Club has a full social calendar planned. Our residents and members will find plenty of entertaining activities to participate in over the next several months. The festivities begin to ramp up later this month in recognition of Halloween. For adults, there will be a rousing Costume Party (Friday, October 30). 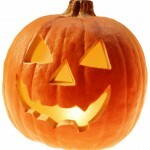 The following evening, kids are invited to a buffet at the Club after which they can trick or trick throughout Old Palm. A week later is the Opening Weekend Dinner Dance, one of the most highly anticipated social gatherings. Itâs always a wonderful event for members to get reacquainted, share stories about how theyâve spent the summer, and make plans for the upcoming season. Of course, golf is always a huge draw and the seasonâs first golf tournament will be held Saturday and Sunday, November 7 and 8. As always, Old Palmâs spectacular Raymond Floyd-designed golf course is in phenomenal shape and ready to kick off the season in style. We will continue to keep Old Palmâs residents informed about whatâs planned for the holidays and fun special events like our Welcome New Member Cocktail Party (Saturday, December 12) and Ugly Sweater Pub Night (Wednesday, December 16).